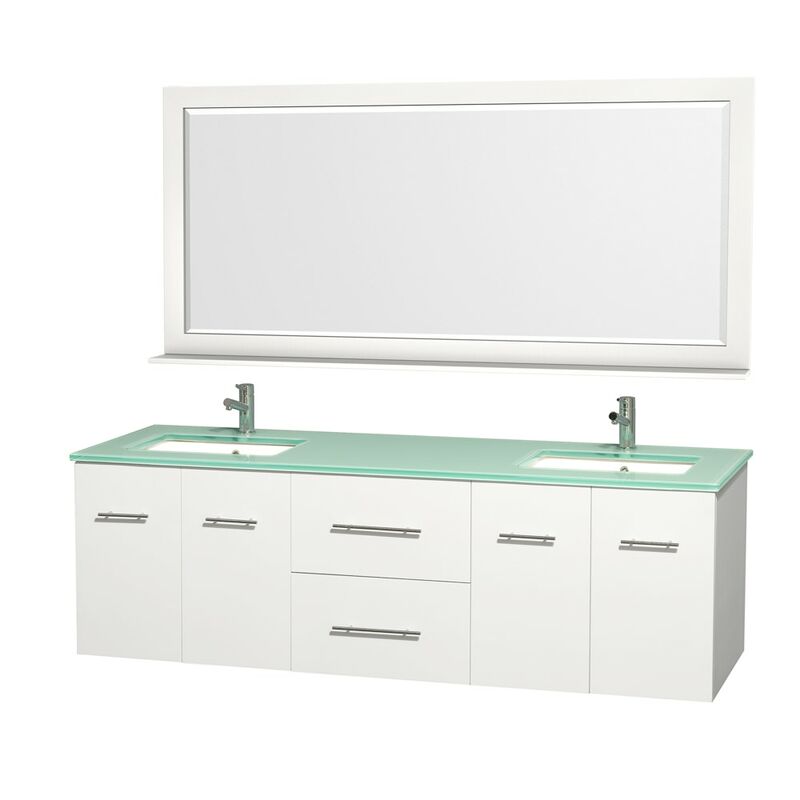 Simplicity and elegance combine in the perfect lines of the Centra vanity by the Wyndham Collection. If cutting-edge contemporary design is your style then the Centra vanity is for you - modern, chic and built to last a lifetime. Available with green glass, pure white man-made stone, ivory marble or white carrera marble counters, and featuring soft-close door hinges and drawer glides, you'll never hear a noisy door again. The Centra comes with porcelain sinks and matching mirrors. Meticulously finished with brushed chrome hardware, the attention to detail on this beautiful vanity is second to none. Constructed of environmentally friendly, zero emissions solid Oak hardwood, engineered to prevent warping and last a lifetime. 12-stage wood preparation, sanding, painting and finishing process. Highly water-resistant low V.O.C. sealed finish. Unique and striking contemporary design. Modern Wall-Mount Design. Deep Doweled Drawers. Fully-extending under-mount soft-close drawer slides. Concealed soft-close door hinges. Single faucet hole mount. Exterior hardware finish Brushed Chrome. Faucet(s) not included. Plenty of storage space. Plenty of counter space. Matching Mirror with Shelf. Four (4) functional doors. Two (2) functional drawers.